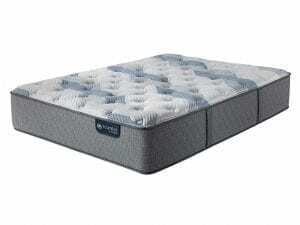 Created for people who love luxurious, plush mattresses, the iComfort Blue 500 Mattress from Serta delivers a tremendously comfortable sleeping experience without sacrificing support. 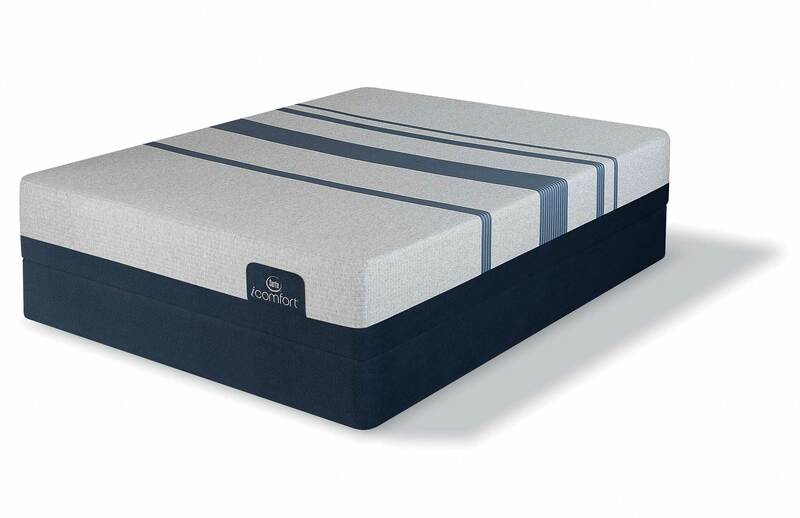 Perfect for traditional bedframes and adjustable bases, the iComfort Blue 500 has layers upon layers of supportive foams that will give you the best sleep of your life. Here are a few reasons people love the iComfort Blue 500 mattress, now available at Best Mattress stores. Created especially for the iComfort line, EverCool® Supreme Memory Foam is a high-density, open cell foam that offers a soft, supportive feel. To reduce heat buildup, EverCool® Supreme Memory Foam offers an open-cell structure that helps sleepers to stay a stable temperature underneath the covers. 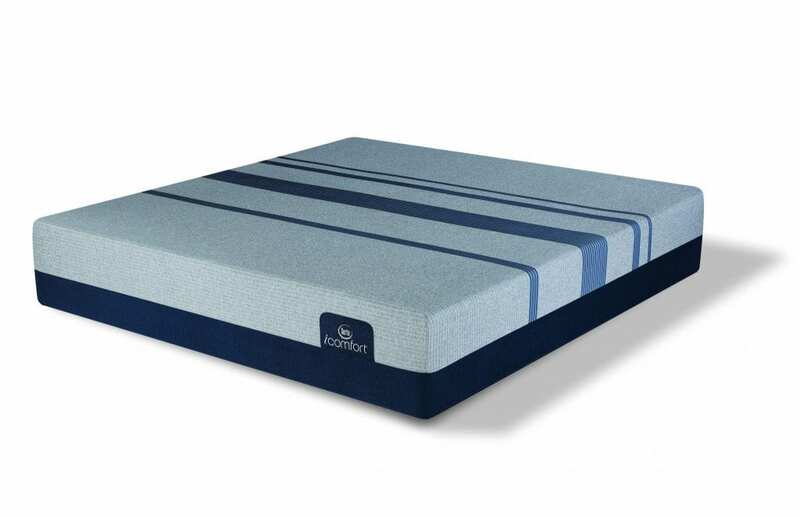 Finished with a layer of luxurious blue fabric, the iComfort Blue 500 offers a thick layer of TempActiv™ Gel Memory Foam. Created with millions of gel microbeads, this special foam is designed to capture and dissipate heat to keep the sleeping surface temperature stable and comfortable for sleepers. TempActiv™ Gel Memory Foam also offers an incredible amount of support without increasing pressure points, helping people to reduce aches and pains. In the old days, memory foams were not very breathable, which made people feel clammy and uncomfortable as they slept. To eliminate this issue, EverCool® Fuze Memory Foam was designed by Serta to feel luxurious and plush, while simultaneously encouraging airflow. Since the edge of the bed is popular with side sleepers and people who like to sit to take off their shoes, the perimeter of the mattress is often the first area that fails. 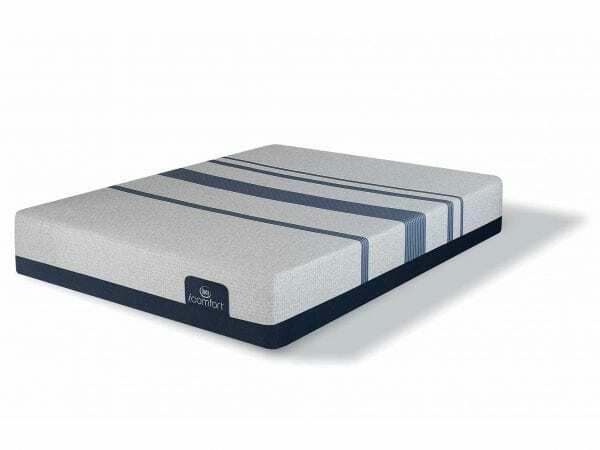 Unfortunately, a weakened edge can cause issues like roll-off and sagging, which is why Serta created their Ultimate Edge® Foam Support Core system. 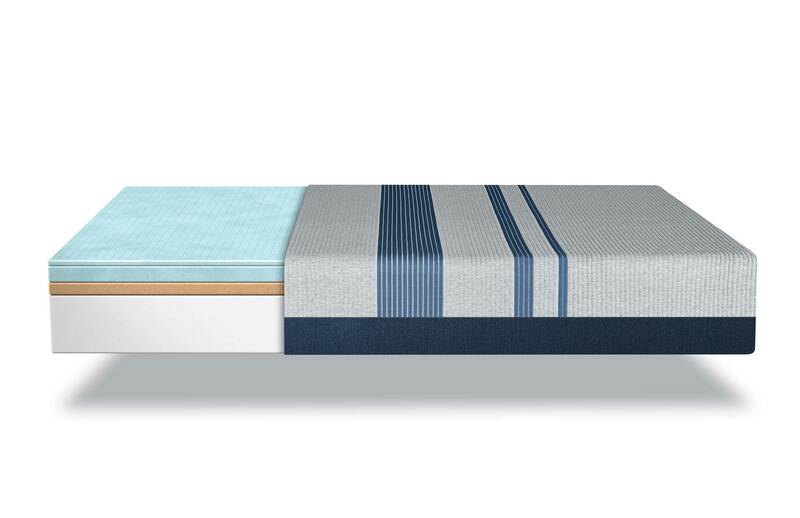 Layers of supportive foam along the perimeter of the bed help the edge of the mattress to stay strong and stable, extending the lifespan of the bed. Serta believes in protecting American jobs to preserve the economy, which is why they design and manufacturer all of their mattresses within the United States. American made products are also subject to stringent safety and manufacturing standards, protecting customers and the environment. To further protect American consumers, Serta only uses foams that are CertiPUR-US Certified, which means that they’re made without a long list of potentially hazardous chemicals. These foams are made without ingredients like TCEP flame retardants, phalates, ozone depleters, and heavy metals, protecting your air quality. 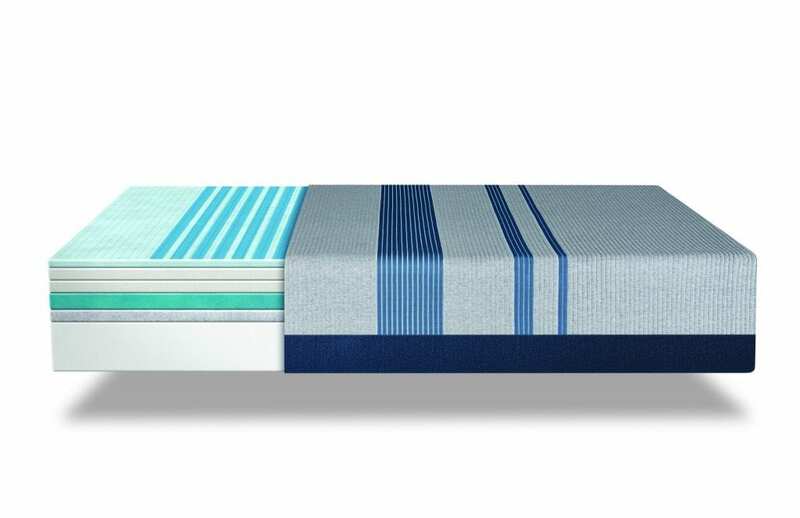 These foams have also been shown to emit fewer VOC compounds, which eliminates odors emanating from the mattress surface. 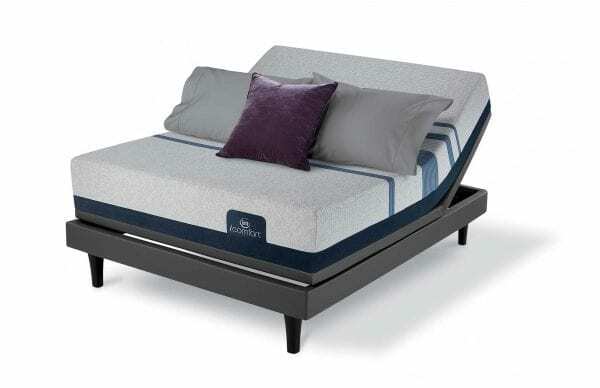 The iComfort Blue 500 also comes with a 10-year limited warranty offered by Serta, protecting you against issues like sagging, cradling, and manufacturers defects. To read more about this warranty, visit Serta online. 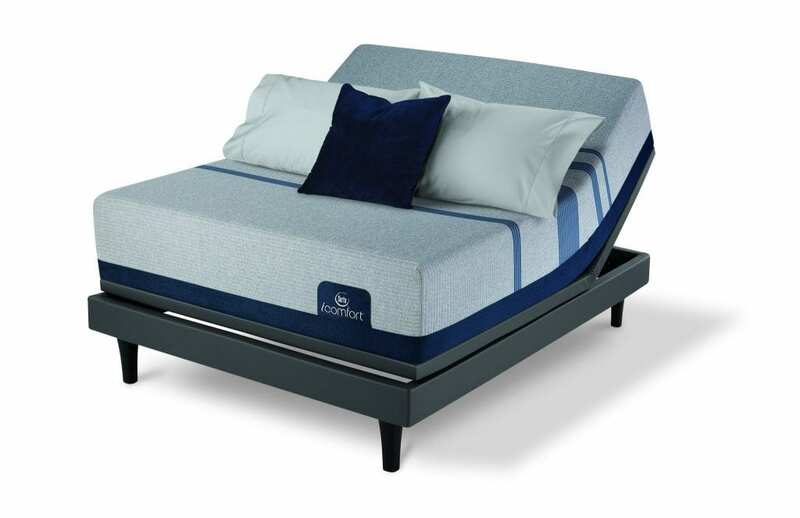 Best Mattress works hard to bring customers throughout Las Vegas, Mesquite, and St. George the best products available, which is why they only partner with superior mattress manufacturers like Serta. When you visit one of our showrooms, you will be greeted with a smile, and you will be able to explore our expansive stores in a no-pressure, friendly environment. Here at Best Mattress, we understand that mattresses can be a significant investment, which is why we offer an unparalleled level of customer service. In addition to guaranteeing the best price on your new mattress set, we also offer white glove delivery service, complimentary haul-away of your old mattress, and a 120-day Sleep Guarantee. 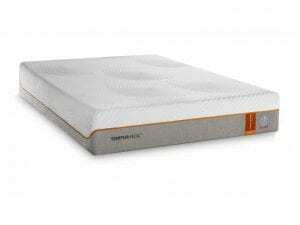 For more information about the new iComfort line, visit Best Mattress today.